English The first course on using lightweight and ultra light gear in Scandinavian above timberline conditions will be given this summer. The aim of the course is to give people who are into lightweight backpacking the know-how of gear and techniques needed to be confident in using them in the above timberline areas of northern Scandinavia in three season conditions. This is not a beginner’s course for basic backpacking techniques. You should have done at least a couple of hikes with at least three nights each in tent or tarp in mountains or forests. 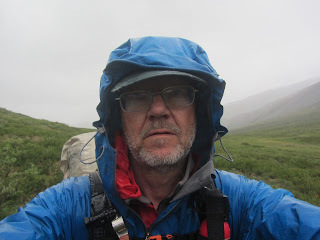 You should have an interest in and maybe even more or less extensive experience of lightweight gear in other areas than the exposed areas of Scandinavia’s mountain wildernesses. You should be fit enough to hike 20 kilometer during 10-12 hours with some 10-12 kilos on your back for three days in a row, although we will not aim for speed but for enjoyment and learning. 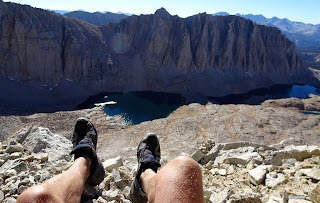 So you are not a complete beginner, but you need not be an expert outdoorsperson. The course will be run 21-27 august in northern Sweden. The language of the course will be English and we welcome participants from other countries. 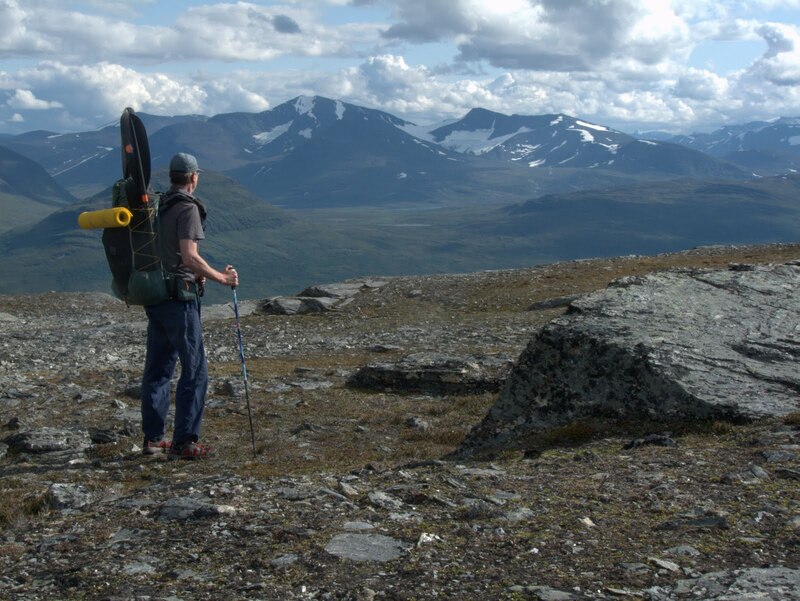 Your teacher will be Jörgen Johansson, who has written several books on lightweight backpacking Scandinavian style and who has undertaken several 500 kilometer treks with light gear, as well as numerous shorter ones. The course starts with a day and a half in a mountain lodge, with theory and practice of lightweight techniques and then we take off for three nights out, before returning to the lodge for dinner and debriefing. After this you will be ready to venture out on own mountain treks with next-to-nothing on your back, in company of others or solo. The weather can be cold and rainy. It can also be bright and sunny. The sun will set at night but it will not be particularly dark. There will be rather severe restrictions on what you can bring and how heavy your gear can be. The scenery will be beautiful and other hikers will be extremely scarce. The number of participants will be limited and we will try to pick a group that facilitates learning by an optimal combination of people with different backgrounds in some aspects and similar background in other aspects. If you are interested, more information can be had from jorgen@fjaderlatt.se.